Trigger points are persistent, localized muscle spasms that can cause a great deal of pain.1,2,3 Trigger points alone may be responsible for many cases of neck pain, upper back pain and lower back pain. This relationship is fairly common knowledge among physicians who treat pain, including chiropractors, rheumatologists, and physiatrists (doctors of physical medicine).What is not generally known is that trigger points may also be implicated in radiating pain into the arm and hand or radiating pain into the leg and foot. In fact, radiating pain due to trigger points may be mistaken for pain caused by a herniated disc, in either the neck or lower back. 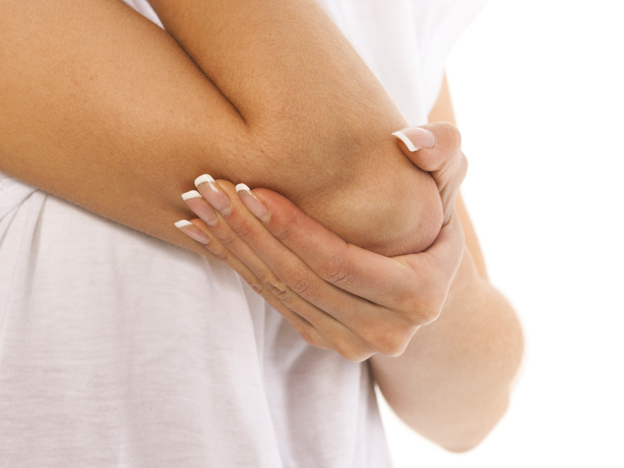 Trigger point pain affecting the wrist and hand may even be misdiagnosed as carpal tunnel syndrome. A patient in whom a correct diagnosis of trigger point pain is missed may lose much precious time and other resources, as she fruitlessly “tries” one doctor after another and needlessly undergoes all sorts of complex and costly testing. Trigger points associated with lower back pain and leg pain are commonly found the iliotibial band (near the upper thigh), as well as in muscles near the hip and buttocks, including the psoas, gluteus maximus and piriformis. Trigger points associated with neck, upper back, and arm pain are commonly found muscles near the upper back and neck such as the the shawl portion of the trapezius muscle, the rhomboid muscles, and the levator scapulae. These chronic, persistent, localized muscle spasms are caused by postural inefficiencies, biomechanical faults, and stress. Any or all of these factors may be involved. Stress may be ongoing, depending on the person’s circumstances, but posture and biomechanics can definitely be addressed and improved with chiropractic care. Your chiropractor will analyze and identify biomechanical issues, particularly those involving spinal misalignments. A chiropractor will design treatment specifically tailored for your individual needs and, if needed, will help educate you regarding good postural habits and exercises that will be beneficial for many years to come. Contact us and we’ll be more than happy to help you with your chiropractic needs.